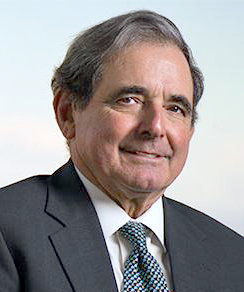 Robert “Robin” C. Wood III, who has been practicing law for more than fifty years, has been named the 2015 recipient of the Tradition of Excellence Award by the Virginia State Bar’s General Practice Section. The award recognizes a lawyer who embodies the highest tradition of personal and professional excellence and who has benefitted the community and enhanced the esteem of general practice attorneys in Virginia. It will be presented on June 20 during the VSB annual meeting at Virginia Beach. Wood, of Edmund & Williams in Lynchburg, is a graduate of Washington and Lee University and the University of Virginia School of Law. Wood is a fellow of the Virginia Law Foundation; author of Civil Procedure in Virginia, Virginia Law and Practice: a Handbook for Attorneys; a Member of Order of the Coif at Washington and Lee University School of Law; and an adjunct professor of Virginia Law and Procedure at Washington and Lee University School of Law. He is a former chair of the Boyd-Graves Conference, president of the Lynchburg Bar Association, chair of the Litigation Section of the Virginia State Bar and editor of its newsletter, and a member of the board of governors of the Virginia Bar Association. He was also an ACC football head referee from 1975 to 2001 and has served on many boards in the Lynchburg community, including the Chamber of Commerce, Lynchburg Fines Arts Center, Virginia Legal Aid Society, St. John’s Episcopal Church, Lynchburg Redevelopment and Housing Authority, and United Way.